DDoS stands for Distributed Denial-of-Service. Available reports point out that 41 per cent of the businesses in the year 2014 suffered from DDoS attack. In such attacks, either the systems or the websites of these companies were taken offline. It has been seen that 1 in 5 companies remained offline for an entire day, which is a huge loss for any business, no matter what the size is. When a DDoS attack takes place, reaction time is very important. Hence, it is very important for IT manager, webmasters, and business owners to understand what this special kind of attack is all about and what the reaction time is in these kinds of cases. Having a proper understanding is very important so that the user is able to prepare a proper contingency plan and implement that to sail through any problem. Before getting more into the topic, it is important to what the term means and what it really is. DoS stands for denial-of-service. According to this either a machine or a network resource is made unavailable to the users by certain unscrupulous developers. One of the most common ways adopted to send a network offline is to overload a website with spam traffic. 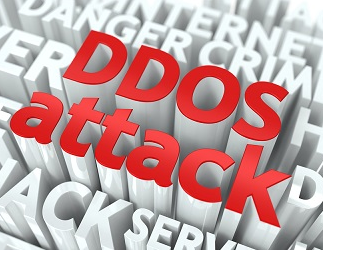 DDoS, as already defined earlier, stands for Distributed Denial-of-Service. This special case of denial-of-service involves bombarding of a targeted site (that of a certain company or business) with spam traffic from a distributed set of computers. When the spam traffic bombardment is done from a single computer then it is relatively easier for the affected site’s administrator to identify the computer that is initiating the spam traffic. However, in case of a distributed set of computers bombarding a target website or network, it becomes that more difficult to point out the source initiating the spam traffic attack. As the source becomes tough to identify, stopping the attack also becomes tougher. There has been a tremendous increase in the Distributed Denial-of-Service attacks. Neustar, a renowned analytics firm, carried out a survey in the year 2012 DDoS attacks on UK based companies and businesses. It has been found out that throughout 2012, 22 per cent of the UK businesses surveyed suffered from a disruptive DDoS attack. It has also been found out that out of the total number of affected companies, 37 per cent of them suffered an attack that went on for over 24 hours. Neustar carried out the same survey in 2014 and the results were alarming now. The analytics firm found out that the percentage of affected UK companies on which DDoS took place increased from 22 per cent to 30%, a steep increase of 8 per cent and that’s too in a matter of 2 years. When Neustar carried out the same survey in North America in 2014, it found out that 60 per cent of the North American companies suffered from DDoS attack. Are you prepared to face Off the DDoS Attack? Having a prior plan is very important in facing off an unexpected DDoS attack. The first step involved in making such a plan is that potential cost evaluation to various elements present in the IT system. In case, your entire revenue is dependent upon a single system or website then the potential cost of it getting down for an entire day will be much more than that of a corporate which has multiple revenue sources. You should have a proper plan in protecting your system or website from a DDoS attack if the impact of loss (in terms of money as well as time) due to the DDoS attack is higher. To mitigate the attack, you need to understand the hosting architecture. If you know which server ports are related to most important business services then as an administrator or owner of the website you can ask provider of the hosting service to close down non-critical ports once the DDoS attack starts. Please remember that a firewall is not able to understand spike in traffic. So, don’t rely on that. For DDoS protection you have to rely on network level solutions such as Incapsula. It is more suitable for third party data center server hosting.